Let us welcome the littlest member of the Peg Perego family – the Pliko Mini. Weighing only 13 pounds and very compact, this little umbrella stroller still has all the superb qualities that Peg Perego has built its reputation on. This new Peg Perego baby stroller boasts features like a one-handed umbrella fold using a centrally placed handle for convenience. Transport is easy with another carrying handle on the side. Made In Italy. One hand umbrella folding, no need to bend over. Like others in the Peg Perego line, the Mini has loads of style; choose from several colors with matching accents on the wheels. The front wheels swivel or lock and have shock absorbers for a smooth ride. 4 What is folding the Pliko Mini like? 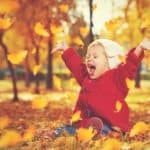 7 Parent amenities and storage. 11 Where can I find the best price? Now doing errands around town isn’t such a hassle when you have a lightweight umbrella stroller that does so much. Weighing only 13½ pounds, the Peg Perego Pliko Mini easily goes where you want to, especially in urban environments. This is a popular stroller for city dwellers who take public transportation, and for families who travel, taking their Pliko Mini on the plane. The first thing that has to be mentioned is the soft yet elegant fabric. I absolutely LOVE the fabric on this stroller! It is rich in color and the padding is so cushy on this seat. The side panels at the top of the seat keeps your child’s head cradled while they take a nap. The Pliko Mini has a signature 5-point harness securing your child in the seat. An 18½” backrest is fairly common with umbrella strollers, but with a 24″ space to the canopy, your taller child’s head should clear the hood and sit comfortably. And with a 45-pound weight limit, your child can ride for a good number of years. The stroller has a fully supported, three-position backrest that reclines at nearly 150°, but not completely flat. Because of this, your little one should be at least 6 months old before riding. See the 2nd photo on this page to give you an idea of the maximum reclined angle. Moms mentioned in reviews that they love this feature because they can recline the seat one-handed and not disturb their child once they’ve fallen asleep. When your baby is very small, having support for little legs is important, both for healthy circulation and for comfort. The Peg Perego Pliko Mini has a two-position leg rest, either up or down, and it really makes a difference. What is folding the Pliko Mini like? The Pliko Mini features a one-hand folding feature. It allows easy, quick closing and carrying, and being lightweight, it is the perfect stroller for traveling by air or public transportation. Moms say that this is the highlight of the Pliko Mini; you can hold your child just like the mom in this video to your right and open and close the stroller. We definitely like that! The Peg Perego Pliko Mini also folds very compactly and stands on its own, making storage a breeze. One of the pluses about the Pliko Mini is that you don’t have to fold it down toward the ground, as you do with Maclaren strollers, UPPAbaby’s G-Luxe and G-Lite. As you can see from the video, it collapses in on itself, as you stand. For parents with strained backs with all that baby carrying, this can be a relief. Folded: 38″H x 13″W x 12″D(standing upright)Width: 19¼”Open Length: 27″Height: 39″-41″Seatback: 18½”Seat Width: 12″Seat Depth: 10″-15″Seat to Canopy: 24″Wheels: 5½”Weight Capacity: 45 lbs.Product Weight: 13½ lbs. Maneuvering the Pliko Mini rather easy, especially indoors and it has suspension to even out the bumps. Parents who like to take neighborhood walks have noted that the 5½” wheels don’t do well on bumpy sidewalks. Flat, smooth streets and indoor shopping malls are fine, but the wheels feel wobbly on rougher terrain. 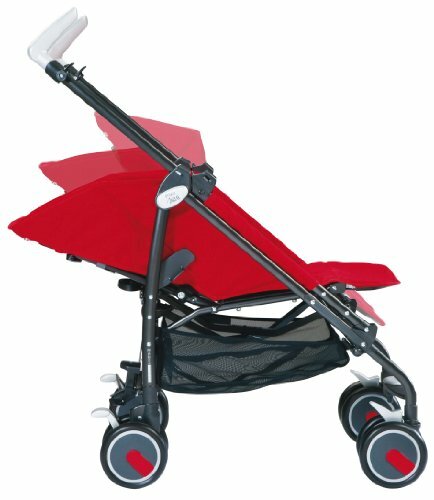 Though, you do have the option to easily lock the wheels forward on the Peg Perego Pliko Mini. This would likely make those rough bits go a bit easier. And, the brakes on this stroller are simple to engage, one over each rear wheel, which might also help with keeping everything straight. Parents may not care much for the wheels, but they adore the sun canopy! It ratchets downward to give plenty of coverage to protect baby from sun and wind. I like the large viewing window that is just at the right angle to keep an eye on them. And here’s a thoughtful touch: Peg Perego strollers have a loop underneath the canopy so that you can hang baby’s favorite toys. When they’re very young, babies love dangling toys to look at and keep them occupied. An occupied baby is a mommy’s path to peace, don’t you agree? The Peg Perego Pliko Mini umbrella stroller has ergonomically designed telescoping handlebars with extra padding compared to its previous design. I personally liked the thumb impressions at the top of the handles making it very comfortable to hold as I push. Tall parents have plenty of stride room and no stroller hunch with these handles. The Peg Perego Pliko Mini has an nice medium-sized storage basket where moms can store baby essentials or a purse. It’s not a huge basket but large enough to store the necessities, and that’s OK because most umbrella strollers have smallish baskets. You can access it through the side when the seat is reclined, and make sure it’s empty before you fold! 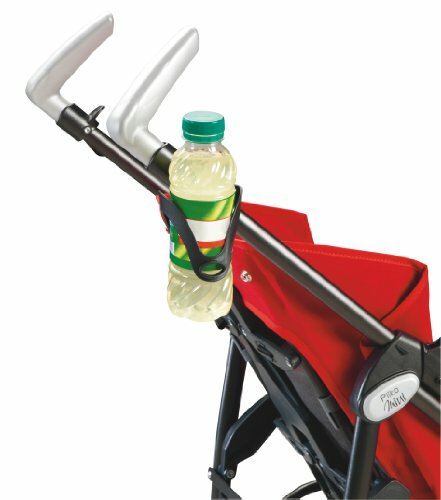 There is also a parent cup holder on the side of the Pliko Mini stroller, a must-have for most parents. Whether you use it for your own beverage or for baby’s, it’s convenient to have. Parents who travel a lot LOVE the Peg Perego Pliko Mini. Many take flights and want to protect their stroller after the gate check. This is where the Peg Perego Stroller Travel Bag comes in handy. 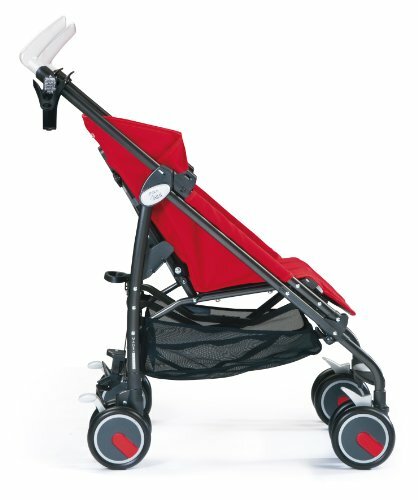 Satisfied moms call this bad strong and sturdy, and say that it keeps your stroller safe, while being lightweight. Can’t ask for more! While some brands include accessories with purchase, you do have to buy Peg Perego accessories separately. Unfortunately, the couple of accessories you can buy for your Pliko Mini have low ratings and bad reviews. If you live in a climate where the winter months are frigidly cold, the Pliko Mini Universal Boot Cover keeps your child snuggy and warm. An alternative to this two-star product is the JJ Cole Urban BundleMe, which has hundreds of happy parents raving about it. You can buy a Peg Perego rain cover that is supposed to fit any of their strollers, but it’s got low ratings with customers saying it doesn’t fit properly. In the meantime, you should look at the Manito Elegance Plus Stroller Weather Shield/Rain Cover, fitted for most umbrella strollers and has a high rating. Protecting your baby from the wind and rain, this cover keeps the heat inside on cold days, too. Parents give give the Peg Perego Plinko Mini overall high ratings for overall convenience. 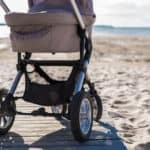 A few parents have said that they prefer the fold on this one over other top-rated umbrella strollers such as Maclaren and UPPAbaby. 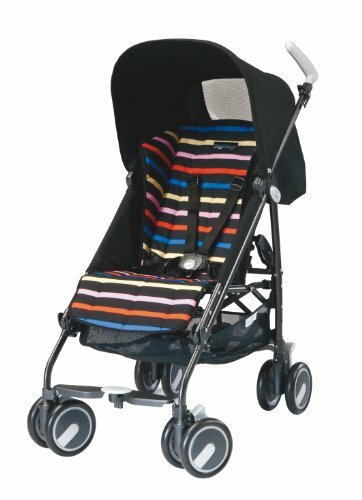 City dwelling parents write in several reviews about how convenient their Pliko Mini is to get around town. New York City moms say that taking the stroller aboard busses and into cramped NYC restaurants is a breeze. Another feature parents rave about is the sun canopy. They rave about how large the canopy is, and many are quite satisfied with the shading it provides their children. And lastly, parents who travel, especially by air, with their children, are impressed with how well the Peg Perego Pliko Mini holds up for the trip. 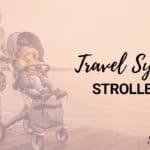 Just whisk it through security; a few moms mention they’ve traveled by themselves and could handle this stroller and their child at the same time. Parents haven’t enjoyed the wheels on the Peg Perego Pliko Mini. 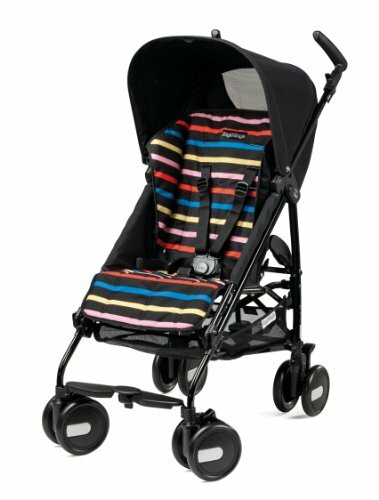 Concerns about the stroller wobbling too much on bumpy sidewalks and the ride can too rough for baby on such terrain. However, they are overall pleased with the experience of the stroller. Storage posed a bit of a problem with one customer saying that the ‘X’ in the frame design makes it difficult to get to the basket and another customer wishes there was a little pocket behind the seat for her cell phone and keys. These were still given high marks though! 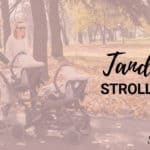 My favorite place to buy strollers is on Amazon because it’s the only place online that I’ve found that gives you a great discount! I also like that if you are subscribed with Amazon Prime, you will get this stroller in a matter of days. It couldn’t get any easier than that! Imagine popping the wheels on your new Peg Perego Pliko Mini and taking your little one for a ride a few days from now. This one’s a sure bet!